Estádio do Bonfim is the home ground of Primeira Liga staple Vitória Futebol Clube. 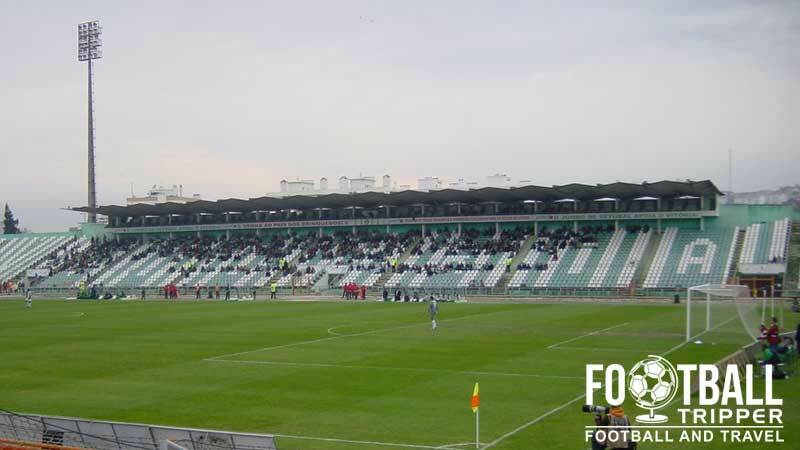 Constructed in 1962 with a capacity of 18,694, the stadium is owned by the local council and is located in the Setúbal Municipality which is approximately 40km south of the capital city of Lisbon. Estádio do Bonfim is a multi-purpose sports ground located in the municipality of Setúbal close to Lisbon where S.L Benfica and Sporting Club are from. First opened back in 1962 on the 16th September, Bonfim stadium was inaugurated in time for the 1962-1963 season with an initial capacity of 30,000. After undergoing many renovations to keep a pace of both UEFA’s and the the Portuguese FA’s ever developing stadium safety legislation, today’s capacity sits at 18,694. The conversion of the terraces to all seating reduced the capacity to 21,000, with the capacity reduced even further by around 2,000 or so places after the partial closure of the top stands which had become unsafe. 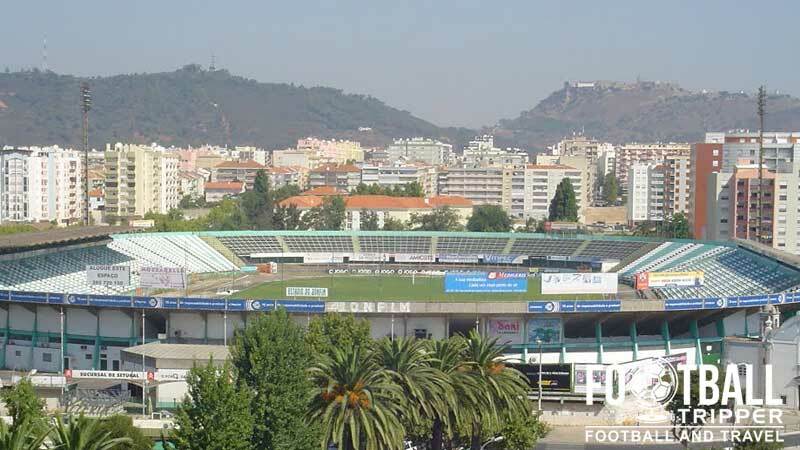 Having not undergone any major programs of modernisation since opening back in the 1960s, the club are exploring the possibility along with the local Setúbal council of constructing a brand new stadium within the Vale da Rosa area of the city. 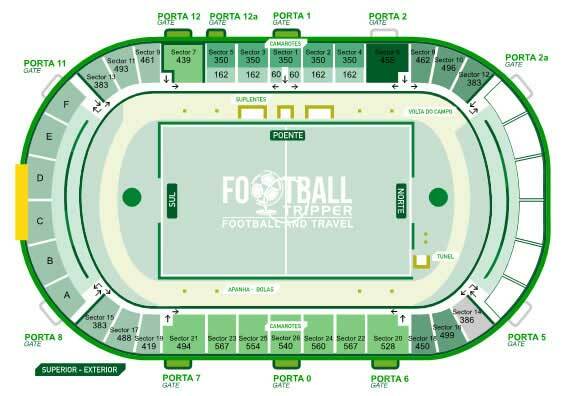 Given the working title of Novo Estádio Setúbal, the stadium was expected to cost around €110 million euros and be large enough for 15,000 fans. To date, Estádio do Bonfim has hosted a handful of matches of the Portuguese National Team with the first match held on the 3rd December against Cyprus. Vitória’s stadium also witnessed a 3-1 victory against Armenia in a 1998 World Cup qualification match with the last international match held on the 5th June 2004 against Lithuania in preparation for Euro 2004. Estadio do Bonfim is comprised of four stands: North, East, South and West. Based on the above seating plan it would appear as if the away fans are housed within the “Curva Norte” aka the northern goal-end. As there doesn’t appear to be any seats within the central areas it would seem that the visiting supporters are tucked into the corner e.g Sector 386. As there doesn’t appear to be an online store, The fan shop at Bonfim stadium is hands down the best place to purchase official merchandise of Vitória FC. Loja do Vitória is guaranteed to be open on matchdays for at least a few hours before kick-off regardless of which day of the week the game is. Whilst it doesn’t appear as if stadium tours of Bonfirm are available, you can usually visit Vitoria FC’s trophy room during the season providing no cleaning or maintenance work is taking place! Tickets aren’t typically sold online which means you should either visit the Vitoria club shop during the week or get to the ground early before kick-off to obtain tickets to the match. Prices are very reasonable with tickets likely to set you back between €15.00 – €20.00 depending on whether you wish to sit behind the goal or within the tribune along the side of the pitch. Estádio do Bonfim enjoys a prime location within Setubal less than 1.0 km from the main railway station and the historic city centre. The average Football Tripper can walk to the ground in just over 10 minutes from most places in the city. There doesn’t appear to be any on-site parking at the stadium as a result of the urban location. You will instead have to contend with parking around the adjacent area and walking 5-10 minutes back to Bonfim in the worst case scenario. Setúbal railway station is located within the area of Bonfim which as the name suggests is right where the stadium is located. It forms part of the Roma-Areeiro-Setubal line which can take you to Lisbon and Linha do Sado which is predominantly used by commuters. The closest bus stop to Estadio do Bonfim is located along Av. Alexandre Herculano which is across the roundabout towards the south-east of the ground. On matchdays you can catch bus numbers 602, 610 and 612 from around Setubal. The closest major airport is Lisbon Portela which is located approximately 45 km north of the municipality of Setúbal. The international airport in Lisbon, Portugal’s capital city, is the largest in the country. There are at least half a dozen or so decent looking accommodation options within the municipality of Setúbal with the closest option to Vitoria’s ground being the four star Hotel Premium. Slightly further south towards the coast there is a Hotel Novotel, Hoel Solaris and the no-frills Hotel Bocage which is a no frills 2-star option for those on a budget.